1952. 140 pages. Signed by the author. Red dust jacket with black lettering over blue cloth. Firm binding. Mild foxing, tanning and handling marks with dedication to previous owner at front endpaper. Contains pencil marking at p.140. Slight bumping to corners with mild rubbing along edges and over surfaces. Unclipped jacket with tanning along spine. Chipping and tears to spine ends and along edges with noticeable rubbing, loss and wear over surfaces. 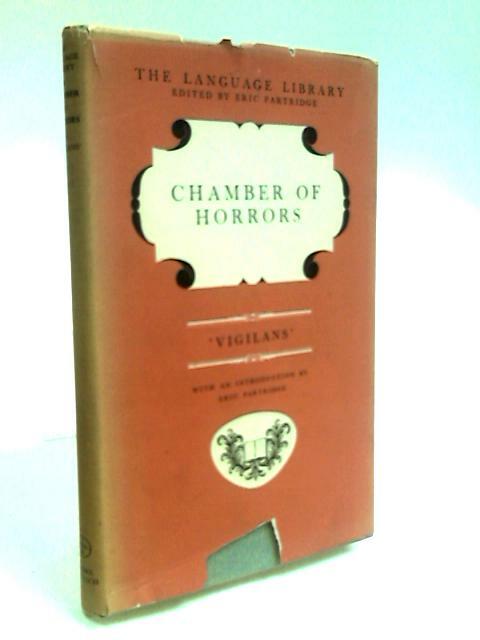 Chamber Of Horrors. A Glossary Of Official Jargon Both English And American.